Rajas con crema is a traditional Mexican dish made with poblano peppers and cream. This is one of my favorite Mexican dishes to make because it is so easy and delicious. This dish is often made by older senoras that prepare tortillas and memelas (a thicker tortilla) to sell at markets. It’s also popular at potluck style parties because it’s simple to make in bigger batches. Because I’m such a fan of this dish, I wanted to add my spin on it to turn it into something a little more shareable. 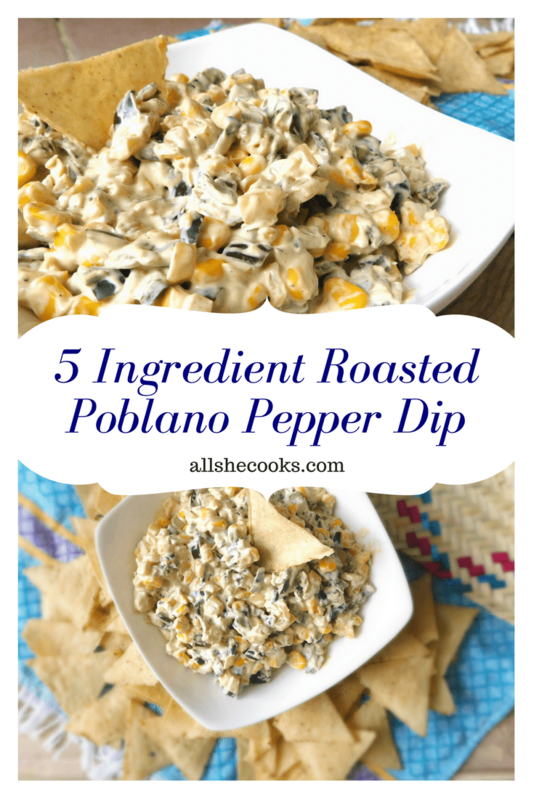 This 5 ingredient roasted poblano pepper dip is the perfect Mexican addition to spice up any fiesta! Poblano peppers are great for adding a good hearty flavor. They are not spicy, but when roasted they can create a great smokiness that deepens the flavor party. 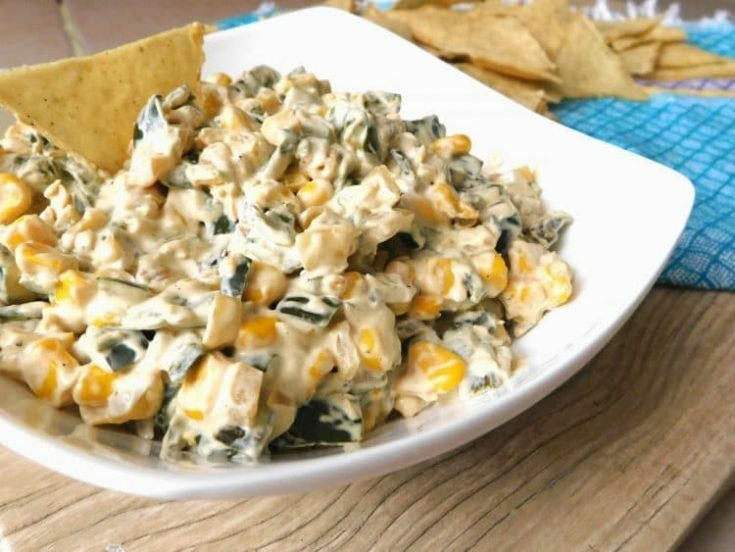 Rajas con crema typically includes onions and corn as well that help balance out the smokiness of the poblanos with a little sweetness. In this dip cream cheese and butter create the creamy texture that helps tie everything together. 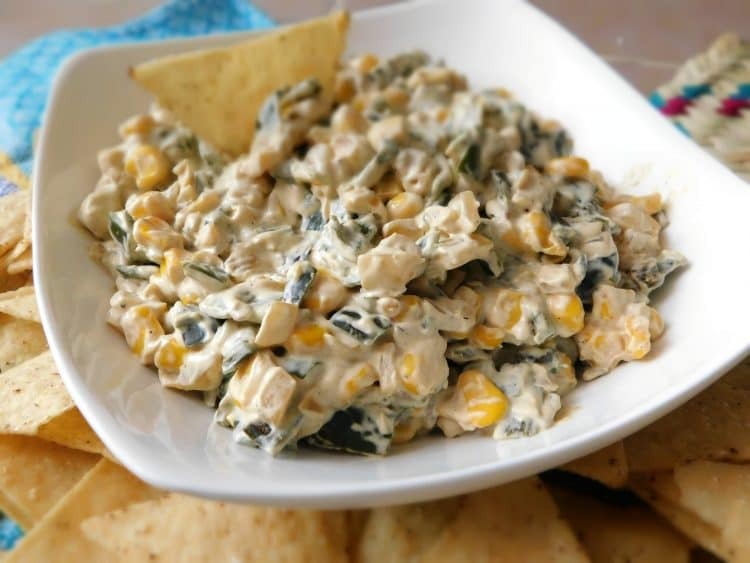 I love to add a little spice to this dip as well by adding a teaspoon of habanero salsa. It’s just enough to give it a little kick without making it too spicy. 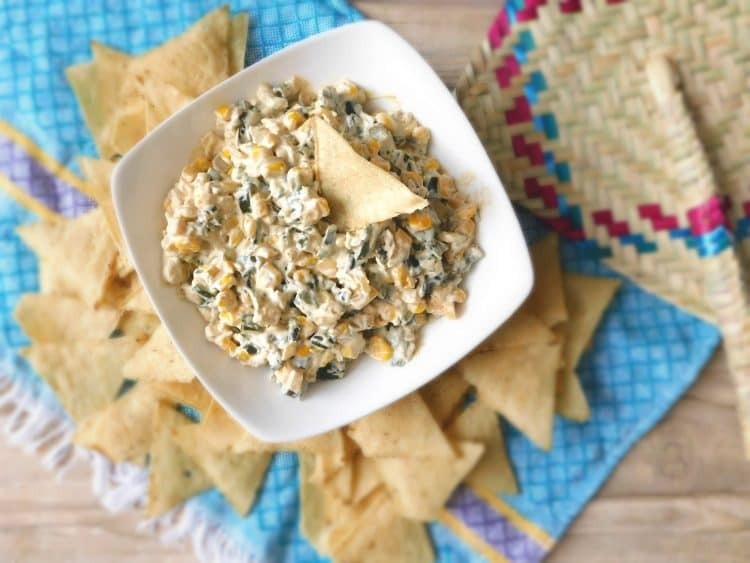 I originally made this dip to share with a friend when we had our girls night at her place. But then it just turned out so good, I secretly bought something else to bring instead. I love how the spicy mixes with the smokiness and the sweetness and cream are the perfect accompaniment. Next time I will have to bring over a batch to share. But don’t be surprised if your roasted poblano pepper dip has vanished after five minutes. This dip is addictive so consider yourself warned! If you’re interested in more flavor pack dips check out Creamy 2 Minute Dairy-Free Ranch. 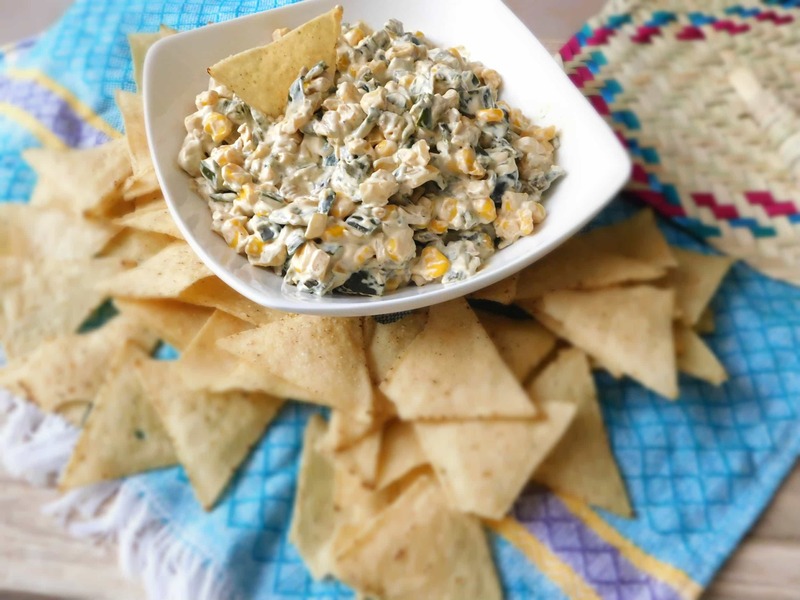 5 Ingredient Roasted Poblano Pepper Dip is a smoky pepper dip perfect for serving up an an appetizer or party dip recipe. Dice poblanos and saute on their own until a little chard and soft. Lower heat and add in all other ingredients. Mix until fully incorporated. Enjoy warm or cold!